Now a Washington Post bestseller. Respected conservative journalist and commentator Timothy P. Carney continues the conversation begun with Hillbilly Elegy and the classic Bowling Alone in this hard-hitting analysis that identifies the true factor behind the decline of the American dream: it is not purely the result of economics as the left claims, but the collapse of the institutions that made us successful, including marriage, church, and civic life. During the 2016 presidential campaign, Donald J. Trump proclaimed, “the American dream is dead,” and this message resonated across the country. Why do so many people believe that the American dream is no longer within reach? Growing inequality, stubborn pockets of immobility, rising rates of deadly addiction, the increasing and troubling fact that where you start determines where you end up, heightening political strife—these are the disturbing realities threatening ordinary American lives today. The standard accounts pointed to economic problems among the working class, but the root was a cultural collapse: While the educated and wealthy elites still enjoy strong communities, most blue-collar Americans lack strong communities and institutions that bind them to their neighbors. And outside of the elites, the central American institution has been religion That is, it’s not the factory closings that have torn us apart; it’s the church closings. The dissolution of our most cherished institutions—nuclear families, places of worship, civic organizations—has not only divided us, but eroded our sense of worth, belief in opportunity, and connection to one another. 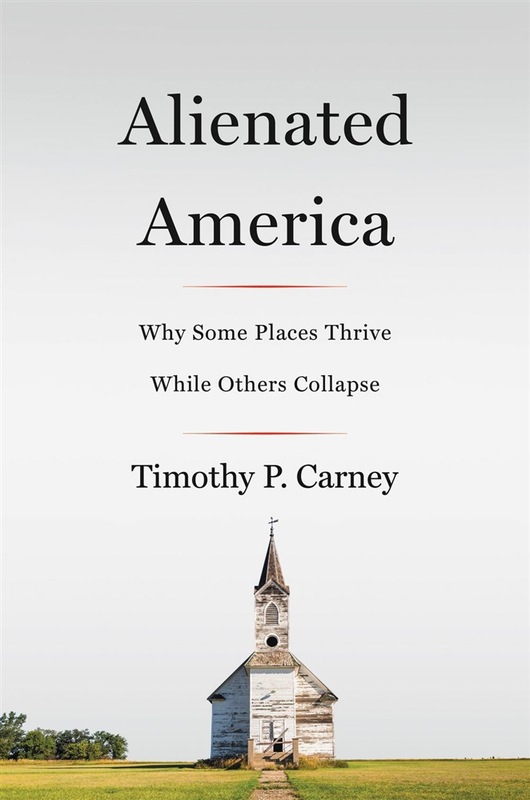 In Abandoned America, Carney visits all corners of America, from the dim country bars of Southwestern Pennsylvania., to the bustling Mormon wards of Salt Lake City, and explains the most important data and research to demonstrate how the social connection is the great divide in America. He shows that Trump’s surprising victory was the most visible symptom of this deep-seated problem. In addition to his detailed exploration of how a range of societal changes have, in tandem, damaged us, Carney provides a framework that will lead us back out of a lonely, modern wilderness. 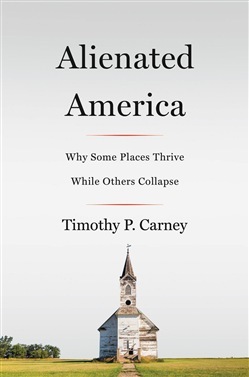 Acquista Alienated America in Epub: dopo aver letto l’ebook Alienated America di Timothy P. Carney ti invitiamo a lasciarci una Recensione qui sotto: sarà utile agli utenti che non abbiano ancora letto questo libro e che vogliano avere delle opinioni altrui. L’opinione su di un libro è molto soggettiva e per questo leggere eventuali recensioni negative non ci dovrà frenare dall’acquisto, anzi dovrà spingerci ad acquistare il libro in fretta per poter dire la nostra ed eventualmente smentire quanto commentato da altri, contribuendo ad arricchire più possibile i commenti e dare sempre più spunti di confronto al pubblico online.